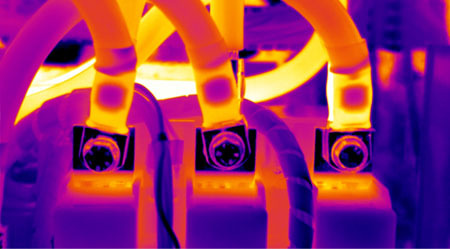 Infrared Thermography is a vital technology for manufacturing plants and factories today. With the proliferation of electricity sensitive machinery / equipment and complex circuitry, maintenance of such plants is of vital importance. Such machines / equipment are hard to obtain, expensive and may not be replaced easily. The expensive cost of obtaining brand new machinery / equipment to replace damaged ones means that it would be more beneficial to monitor and maintain such machine/ equipment. 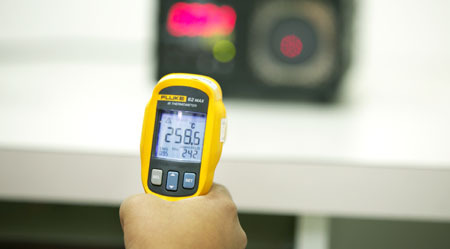 Our skilled and certified engineers have a thorough understanding of Calibration, Measurement Uncertainty and Statistical Analysis.